The five university students who undertook the programme, from left: Raydon McBean, Jaiwattie Monhanlall, Samantha Richmond, Maisie Sheppard and Grantley Laundry. 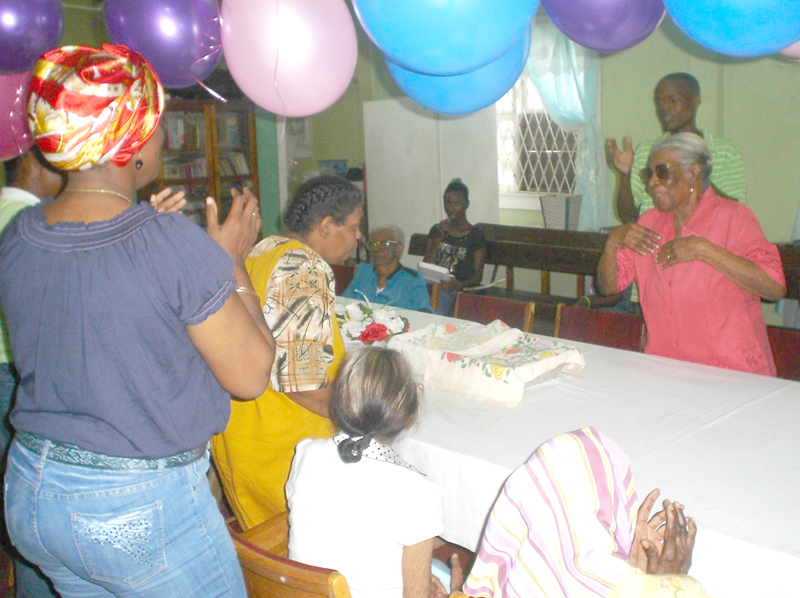 There was dynamic interaction between the young and the old during a programme held by University of Guyana students at the Ivy Hall Memorial Home at 193 Camp Street, Georgetown, over the past ten weeks. The UG students were Final Year Social Work students of the Faculty of Social Sciences, Turkeyen Campus. And they were conducting a programme aimed at empowering senior citizens to feel good about themselves; to see themselves as assets rather than liabilities to the state or the society at large. And from all reports, the senior citizens at the home, women between the ages of 70 and 98 were game. “They participated fully in the exercise, some of them even on days when they didn’t feel too well. They were energised by the presence of these students, they were happy that they could be part of a programme to assist the youngsters in their academic pursuits,” Mrs Lorna Henry, Secretary Treasurer of the Management Committee said. The Ivy Hall Memorial Home was established December 20, 1976 by a group of members from the Bethel Gospel Church. The home accommodates 11 women and is fully staffed and headed by a Chairperson and a Treasurer/ Secretary from the Bethel Hall Gospel Church . One of the activities during the closing session at the Ivy Hall Memorial Home Friday afternoon. Senior citizens of the Ivy Hall Memorial Home suffer illnesses such as visual impairment, hearing loss, hypertension, diabetes, arthritis, epileptic, respiratory disease, heart disease and other chronic illnesses. Ms Maisie Sheppard, one of the five University students, disclosed that their programme which started several weeks ago, was part of their requirements for graduation with a Degree in Social Work. “The rationale was the generally agreed on need for seniors to be continuously encouraged to exercise and to eat balanced diets for wholesome living; to enjoy active aging. The programme aimed at sensitising the senior citizens on the aging process, how to deal with and cope with the challenges of aging and with the understanding that death is inevitable. The other students were Ms. Samantha Richmond, Ms. Jaiwattie Mohanlall, Mr. Grantley Laundry and Mr. Raydon Mc Bean. The programme included interactions with the seniors on health issues and diet and included organising visits by a Health Practitioner, field trips and regular exercise sessions. One such field trip for the seniors included a trip to and a treat of fried chicken and other delicacies at the Church’s Chicken outlet at Middle and Camp Streets. 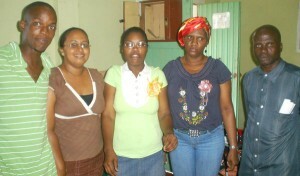 The programme which ended on Friday last was a great success, Ms Sheppard said. “We learnt much more than we bargained for,” she added. “We heard a lot of old time stories, learnt what life was like in Guyana in the early 1900s, the fashions, the dances, the hit tunes, the social values of the times. After the initial introduction, we developed a very strong communication link with the seniors. “It was fun for us” she said. Matron Lorraine Stephens said that the seniors also enjoyed the interaction with the Students.